Frank Marshall wasn’t kidding, was he? 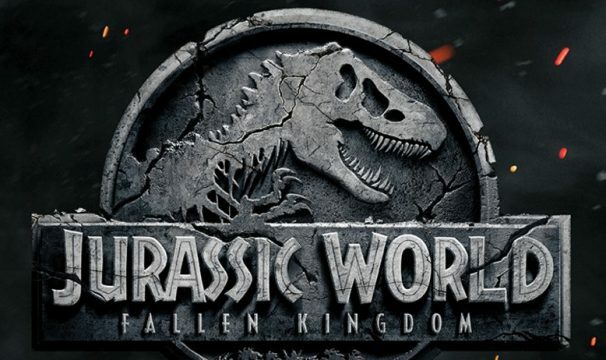 Not even 24 hours have passed since the veteran producer took to Twitter to tease a “big” announcement for Universal’s blockbuster sequel and, thanks to Twitter, we now have confirmation of Jurassic World 2‘s foreboding title: Fallen Kingdom. The announcement comes hand-in-hand with the film’s first official poster (see below), which includes Ian Malcolm’s famous line, “life finds a way.” It’s fitting, too, given Juan Antonio Bayona’s 2018 tentpole is set to welcome the return of Jeff Goldblum’s zany mathematician. But as this is June 22nd, Universal’s timely reveal officially kicks off the one-year countdown for Jurassic World 2‘s theatrical release. Sherlock‘s Toby Jones, Daniella Pineda, Justice Smith and Rafe Spall are among the newcomers on board for Juan Antonio Bayona’s horror-oriented sequel, which will seemingly incorporate themes of animal abuse and even more genetically modified dinos into its story. That screenplay, one penned by Colin Trevorrow (Star Wars: Episode IX) and Derek Connolly, is expected to leave the door open for a third (and final?) installment in Universal’s rebooted franchise, given the Powers That Be have already mapped out plans for a trilogy of big-budget dino movies. 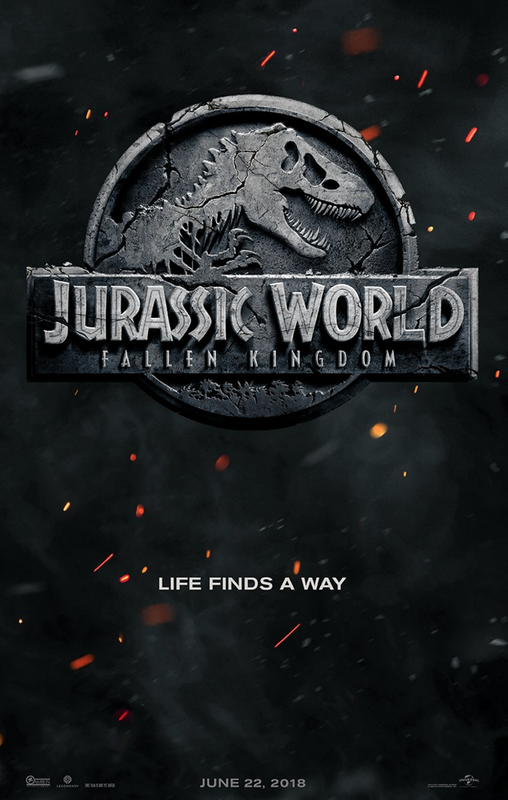 But let’s not get too far ahead of ourselves; Fallen Kingdom is next in line to tumble off the studio’s slate, and one can only assume that that Fallen Kingdom is referring to Isla Nublar, the idyllic isle that has essentially become ground zero of the Jurassic franchise since its inception in ’93, when Steven Spielberg adapted Michael Crichton’s sci-fi classic for the silver screen. As a matter of fact, JW2 is currently lensing across parts of Hawaii, and is expected to do so until July 15th, so we readily expect the fictional island to feature quite prominently in Bayona’s follow-up. All will be revealed when Jurassic World: Fallen Kingdom claws its way into theatres on June 22nd, 2018. Here’s confirmation of that evocative title once more via the sequel’s old-school poster.